To me there are really only two steps here that are essential. The first is to brine your meat before hand. The brining process locks in the moisture and will result in a poultry that is still super juicy even if you take it many degrees past what it’s internal temperature should be. The other step is to make your flour taste delicious. Start with plain old AP flour, then add tons of paprika, some salt, pepper, onion powder, garlic powder and whatever other dried spices you have in the pantry that would taste good on chicken. 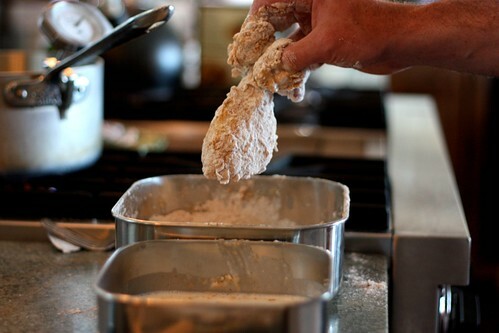 Taste your seasoned flour with a finger and adjust accordingly. Mix water, salt, lemon zest, garlic, bay leaf thyme and peppercorns in a large deep pan. Add the chicken pieces which should be completely submerged in the brine. Place pan in the refrigerator for 4 – 8 hours. Prepare two bowls for dredging the chicken pieces. 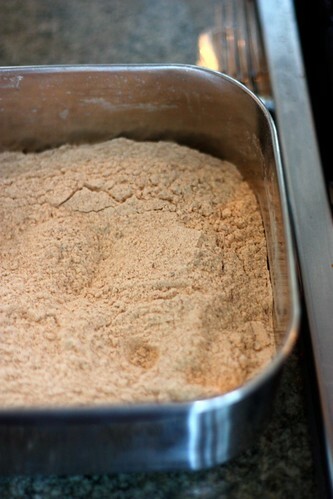 In one bowl mix the flour, salt, paprika, pepper, onion powder, garlic powder and cayenne. 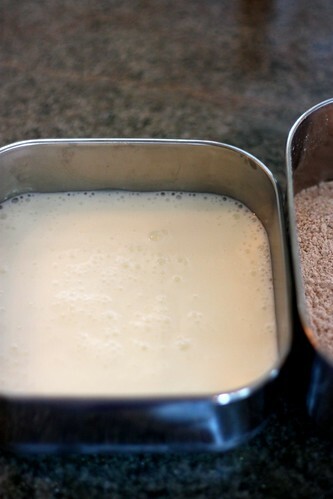 In the other bowl shake and pour 2 cups of buttermilk. 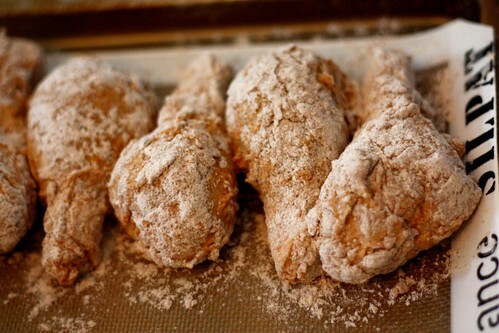 Dip the chicken drumsticks in the flour, tap off the excess flour and dip into the buttermilk, then back into the flour. 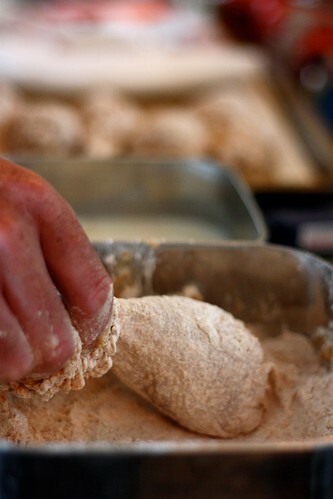 Place the dredged drumsticks on a piece of parchment paper or silpat. 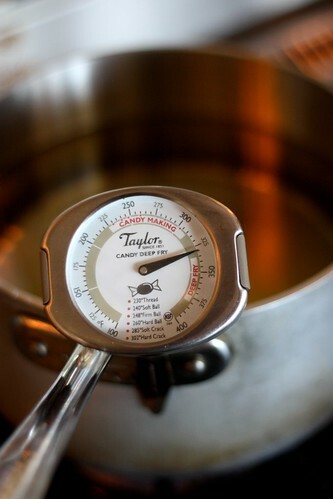 Meanwhile heat 2 liters of oil over medium-high heat in a large heavy pan or wok until it reaches 380ºf or 190ºc on a candy thermometer. Carefully lower the drumsticks one at a time into the hot oil. 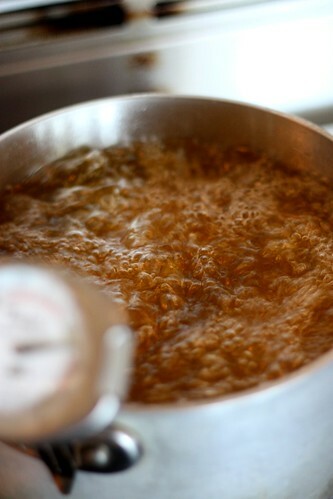 Work in batches cooking 4 – 6 pieces at a time as not to overflow the oil. Cook drumsticks for 10 – 12 minutes. Remove cooked drumsticks with a slotted spoon and place on a baking sheet lined with paper towels in a 250º f – 120ºc oven to keep warm. Serve immediately after all the drumsticks have finished cooking. This entry was posted on September 14, 2010 at 5:03 pm and is filed under Poultry/Game, Recipe. You can follow any responses to this entry through the RSS 2.0 feed. You can leave a response, or trackback from your own site. 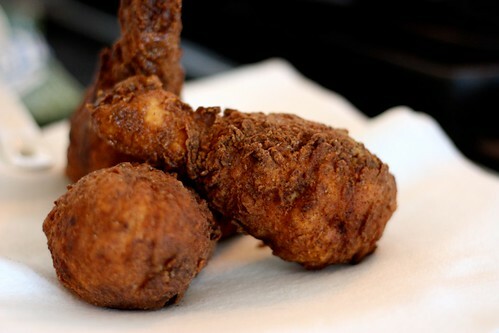 Love fried chicken but have NEVER made it at home, this inspires me to think about it! yummy.. great coverage & photography..
A very nice recipe Braden, and a very nice presentation. Thank you for the article. But pardon, please! Do not assume that when I “fry even the smallest thing in (my) home it makes (my) place smell like McDonalds for days afterwards”. Such a phenomenon is simply NOT SO for all of us, thank goodness!